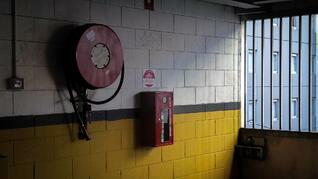 The importance of fire safety is oftentimes overlooked in favor of other everyday concerns. Changing the batteries in your fire alarm panel, locating the optimal evacuation route in your building, and ensuring you have the proper fire extinguishers in the most advantageous spots all trickle to the bottom of our never-ending to-do lists. But why? Why do we neglect something as important as fire preparedness? And how can we knowingly look passed these life-saving safety measures when the worst case-scenarios are so blatantly obvious? Well, for starters, most of us haven't yet experienced the devastating effects of a fire firsthand and thus can't connect to the experience. The rest of us can only rationalize the importance of fire safety. That's why it's absolutely paramount to stay on top of your fire preparedness, even if you haven't had a traumatic experience to motivate you. So, where to start? One of the first steps in fire preparedness is verifying that you are in possession of the appropriate fire extinguishers. Unbeknownst to many, not all fire extinguishers are created equal. In fact there are many different fire extinguisher ratings made to douse specific species of fires. Let's review the ABCs of fire types, cover the different kinds of fire extinguishers, and match the two together so that you can show up to any fire-fight prepared and poised. Class A fires are comprised of paper, wood, cloth, or other common trash. In order to achieve an "A" rating, extinguishers must pass a series of tests that correspond to the aforementioned materials; the wood panel test, the wood crib test, and the shredded paper test. 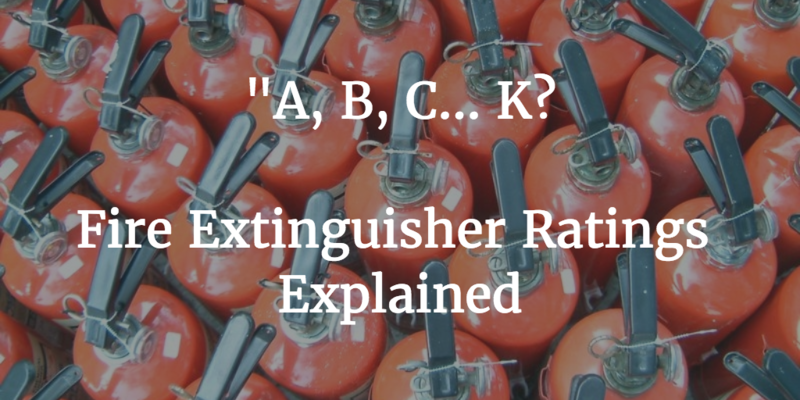 Extinguishers that have attained "A" ratings but lack "B", "C", or “K” ratings are limited to ordinary combustible fires and should not be used to fight liquid based fired, energized electrical fires, or kitchen based fires. Class B fires become increasingly problematic, dangerous, and stubborn because they're formed from liquids and gasses that can be tough to exterminate. Petroleum, gasoline, oil, paint, propane and butane fires all fall under this category. However, it's important to understand that Class B does not cover fires involving cooking oils or grease. Those fires are classified as "K" fires which we’ll cover below. If your cubicle catches flame because your computer spontaneously combusts, that's considered a "C" fire. Class "C" fires are comprised of active electrical devices, fuse boxes, wiring, computers, and electrical sources. Before fighting a class "C" fire, ALWAYS de-energize the associated circuit and proceed with extreme caution. Class "K" fires, or kitchen-based fires, are often overlooked but account for the majority of fires that ravage our homes and lives. They're extremely difficult to douse because they combine electrified elements with dangerous liquids and gasses. Couple their prevalence with their ferocity and you get a recipe for disaster. It's all too easy to leave your stove unattended to go multitask around the rest of the house or to leave the oven blaring as you slip out for an errand. Take this invaluable tip from the pros: never turn your back on an open flame. Now, let's take your newfound insight into the nuances of fire ratings and pair them with their correlated kryptonite. This list of fire extinguishers will help you prepare for the worst case scenario on the best of days. Pressurized water extinguishers are only fit to battle "A" fires. The average pressurized water extinguisher discharges two and half gallons of water for up to one minute, with an effective range that falls between thirty to forty feet. This particular type of extinguisher smothers fires by cooling the burning material below the ignition point. Carbon Dioxide extinguishers fight the fires that pressurized water extinguishers cannot. They're optimally deployed against "B" and "C" fires and significantly vary in their sizes and discharge time. They can be heavier (up to one hundred lbs.) and have a discharge time between eight and thirty seconds. The carbon dioxide doesn't lower the temperature of the fire like the pressurized water extinguisher, it displaces the oxygen fueling the fire instead. Note that as the temperature of the fire drops, the effectiveness of carbon dioxide extinguishers decrease. CO2 extinguishers also require a less rigorous clean up than other extinguishers, making them a more attractive option when dealing with expensive equipment. The jack-of-all-trades of fire protection, the Multipurpose Dry Chemical extinguisher is lighter and more versatile than the previous two types. Unlike the CO2 extinguisher, it has a pressure gauge to allow you to check the capacity visually rather than by weight. It's effective range is between five to twenty feet and smothers the burning materials by separating the fuel from oxygen in the air. This is the only appropriate extinguisher to use in kitchen conundrums. Even though class "K" fires are a subset of class "B" fires, they must be treated with extra care and thus warrant a dedicated extinguisher type. The wet chemical extinguisher can discharge for up to forty seconds at a maximum effective range of ten to twenty feet. It utilizes a foam-forming agent that prevents persistent kitchen fires from reigniting. Understanding your ABCs isn't reserved for mastering the english language, its a quintessential aspect of safely squelching fires of all shapes and sizes. Now that you've armed yourself with knowledge, go arm yourself with the proper extinguisher types to beat the heat.